Is there really a problem with wages? In one of the curiosities of economic history, one of the greatest industrialists the world has known was also instrumental in sharply lifting wages, reducing the work week to 40 hours and an advocate for encouraging a greater division between work and leisure time. In this note we take a deeper look into what motivates firms to raise wages and whether those motivating forces are currently in place. Rising employee turnover is typically the signal for employers to begin to lift the rate of wage growth. Analysts have misjudged where major economies are in the business cycle. Benchmarking the typical steps of the industrial cycle reveals it is only around this point in the cycle that wages could be expected to accelerate in the US. 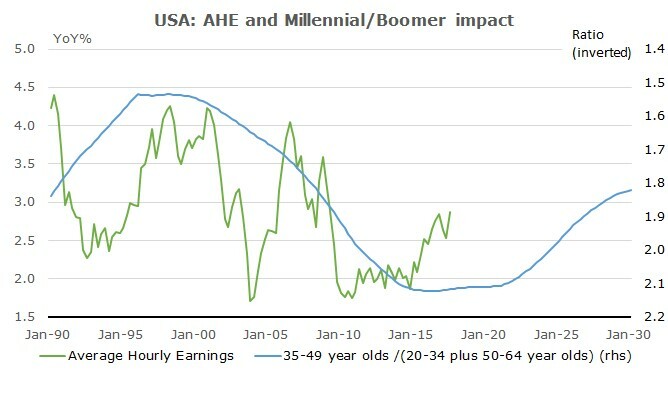 The combination of Millennials towards the start of the non-linear lifetime wage cycle and Baby Boomers at the end mechanically resulted in lower average wage growth over the prior decade. We show why average wages will rise in the coming decade in response to shifting demographics, even if the wage rate for each occupation remains unchanged. The academic evidence suggests common explanations for weak wage growth such as technological innovation and the rise of robots are largely not supported by the available evidence. Indeed, the spillovers from technological disruption tend to boost aggregate employment and consumption growth. The slow pace of wage growth in the US and Australia is fully explainable by standard economic theory. We present a model which accurately explains the evolution of wage growth in the US and Australia and in both instances flags significantly faster wages in the period ahead. In short, we believe there is scant evidence to suggest that historical relationships that explain wage dynamics are ‘broken’. Instead we show that the preconditions for an acceleration in wages in the US have only recently been met and the USA’s average hourly earnings is set to return towards pre-crisis cyclical highs by the end of 2018. Even the laggards in the global industrial upswing, such as Australia, are projected to see an incremental improvement in wage growth in coming months. What happens when rising labour turnover intersects with high business optimism? Henry Ford didn’t invent the motor vehicle, nor did he invent the assembly line. But his revolutionary implementation of mass production techniques and the specialisation of labour not only transformed the motor vehicle manufacturing industry in the US, it permanently transformed the global economic, and indeed, the physical landscape. Ford amassed a significant fortune along that journey. By 1918, just a decade after the first Model T Ford was produced, Henry Ford had amassed US$100 million in net wealth, equivalent to US$1.8bn in today’s terms, and making him the 8th wealthiest person in the US at that time. Despite Ford’s seemingly more altruist attitude towards his workers, he was no socialist, he was first and foremost a capitalist. Nevertheless, Ford shocked his fellow industrialists and financial markets on the 5th January 1914 by offering a $5 per day wage, which more than doubled the rate of most of his workers from the minimum daily pay of $2.34 for male workers. There were some caveats – in order to receive the pay increase the worker was restricted from drinking, gambling and other ‘vices’ deemed inappropriate by Ford’s executives – yet the vast majority of Ford’s workforce enjoyed one of the largest pay increases in corporate history. 18 years later Ford astonished again, announcing on 1 May 1926 that his workers would work a five-day week and eight hours a day, stating; “It is high time to rid ourselves of the notion that leisure for workmen is either ‘lost time’ or a class privilege”. What separated Ford from the oil, steel, railroad, and packaging barons of the era was that he recognised that the inefficiencies of high labour turnover amid tight labour markets could be resolved by altering the incentives to labour. Ford went down in history as a leading advocate of what was to be labelled ‘welfare capitalism’ but in reality Ford was not trying to re-make American society, he was attempting to solve a business problem. In 1913, Ford hired more than 52,000 men to keep a workforce of just 14,000 – a turnover rate of 370%! To put this in context, the current turnover rate of the US manufacturing sector is 2.6%. When workers walked off Ford’s production line to another job the assembly line stopped until new workers could be secured and trained. High labour turnover was acutely impacting Ford’s profits. Sharply raising wages was the rational thing for Ford to do for his firm. By doubling the wage rate the best mechanics and machinists flooded into Ford’s factories, bringing their human capital with them which Ford used to improve the quality of the finished product and efficiency of the production process. Ford’s labour turnover problem was solved, moreover he gained an important strategic advantage over his competitors. Fast-forward to today, US firms do not have a wage cost push problem. They have a labour shortage problem which is intersecting with a strong desire to expand their businesses. The small business survey in the US shows this dynamic with the greatest clarity. Exhibit 1 illustrates that small businesses in the US are not only as optimistic as they have ever been, they are aggressively planning to expand their businesses, plan to hire new workers in record numbers, are finding it the most difficult period since the survey began in the 1970s to fill employment positions and believe that the quality of labour is now the single most important problem impacting upon business. Falling unemployment rates are not a sufficient condition for wage growth. Historically tight labour markets are. While the history books may have mislabelled Ford’s solution to real world business problem as ‘welfare’ what they also failed to recognise that raising wages was the rational thing for Ford to do at that particular phase of the business cycle. Labour market turnover tends to fall sharply at times of economic uncertainty and tends to rise sharply when employees realise the labour market has tightened sufficiently that they can achieve higher wages elsewhere. What historians missed when they classified Ford’s two main labour market initiatives as ‘welfare capitalism’ was that the initiatives coincided with the two tightest labour markets in the USA’s history. The US unemployment rate from 1900 to 1905 was relatively stable, averaging 3.1% over the period. In 1906 and 1907 the unemployment rate fell sharply to average just 1.3%, just as Ford was securing his workforce for the Model T’s first production run. Ford was somewhat fortunate that the unemployment rate rose sharply to average 8.5% in 1908 just as he was seeking to ramp up production. He was able to secure a workforce at a time of excess labour and retain them as there were relatively few other employment opportunities at the time. However, as Ford’s sales increased, so too did the pace of broader economic activity. By 1913 the unemployment rate had halved relative to 1908 and other firms also began complaining about the problem of rising labour market turnover. Ford recognised that in order to improve profits he needed to shift the incentives for labour. 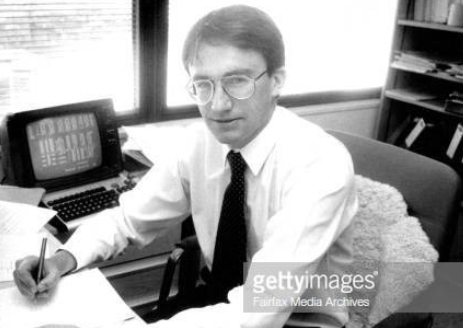 Although Ford famously refused to hire accountants his instincts were perfectly consistent with the basic principle of microeconomic profit maximisation. He managed to lower his overall labour bill by paying higher wages to improve efficiency, retain human capital and most importantly ensure uninterrupted production. What explained Ford’s 18 year hiatus between his two major labour market initiatives? Ford could not have foreseen the start of WW1 on 28th July 1914 and the subsequent rise in unemployment to a peak of 9.7% by 1915. Had he known WW1 would break out just 7 months later it’s doubtful he would have doubled wages. Nor could he have foreseen the spike in unemployment post the war upon the return of war veterans into the labour force and the Fed’s high interest rate policy which prompted the sharp deflationary recession of 1920-21. During this recession consumer prices declined 18%, the unemployment rate spiked to 11.9% and motor vehicle production declined 60%. There was no need for labour market incentives during this period! However, by 1923 the Fed had reversed its interest rate policy, the economy recovered quickly and the unemployment rate had fallen to 3.2% – below what policy makers believed to be full employment. By mid-1926, when Ford announced a 40 hour week labour policy, the unemployment rate had fallen to 1.9%. This was the lowest since 1907 when Ford was trying hire for his first assembly line production run. Ford recognised something that few other industrialists saw. Building the best business was about attracting the best possible team, keeping that team together and incentivising the team at a time when labour competition was tight to avoid production losses. As Exhibit 1 shows, Ford’s mastery was to reserve his biggest labour market incentives for the two tightest labour markets in US history. Exhibit 2: The current decline in the unemployment rate is long in time span, large in magnitude and historically rapid. The current economic expansion has delivered the second longest period of decline in the unemployment rate, only the 1991 to 2000 expansion has so far eclipsed the length of the current downswing in the unemployment rate, and only by a solitary year. The current economic expansion has delivered the 4th largest decline in the unemployment rate from the peak (currently 520ppts) in history, and has achieved the largest decline in the post WW2 era. The current economic expansion has seen the unemployment rate decline by an average of 65ppts per annum, the 6th biggest annual rate of decline in the unemployment rate, and the largest annual rate of decline in the post WW2 era. That is, although the financial crisis provided an unusually large spike in unemployment, the unemployment rate has been falling for a long time, has fallen a long way and is continuing to fall at a rapid rate by post WW2 standards. Where are we really in the cycle? And why are wages so subdued? “The depression was just a state of mind. 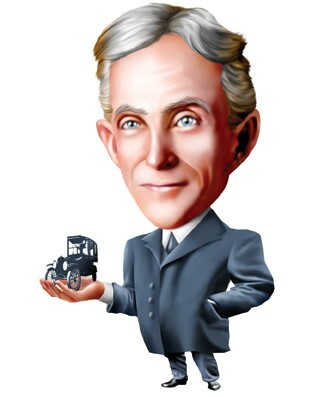 It is over for everyone who has changed his state of mind.” Henry Ford (1934). Why then have wages been rising relatively modestly relative to expectations? We believe the answer is threefold. Firstly, we believe analysts had simply misplaced not only where the US was in the economic cycle but indeed what type of economic cycle the US was in. By the middle of 2016 financial markets and policy makers remained convinced that they were still stuck in either a debt deflation cycle which was yet to end, or, worse still, had entered a period of secular stagnation which may never end. However, even from the vantage point of my prior role as the Head of Macro Research for Goldman Sachs Australia/NZ it was clear by mid-2016 economic indicators that were no longer consistent with a debt deflation cycle let alone a prolonged bout of secular stagnation. I published a series of articles in 2H16 arguing that an upswing in a traditional global industrial cycle had commenced and advocated the case that industrial reflation would be the dominant theme for investment markets (ultimately this became a strong motivator to help start this macro fund). Markets were at first sceptical, yet evidence continued to accumulate. Trump’s election win, and his unfunded promises, provided the excuse for financial markets to embrace the economic reality. However, then something very peculiar happened. 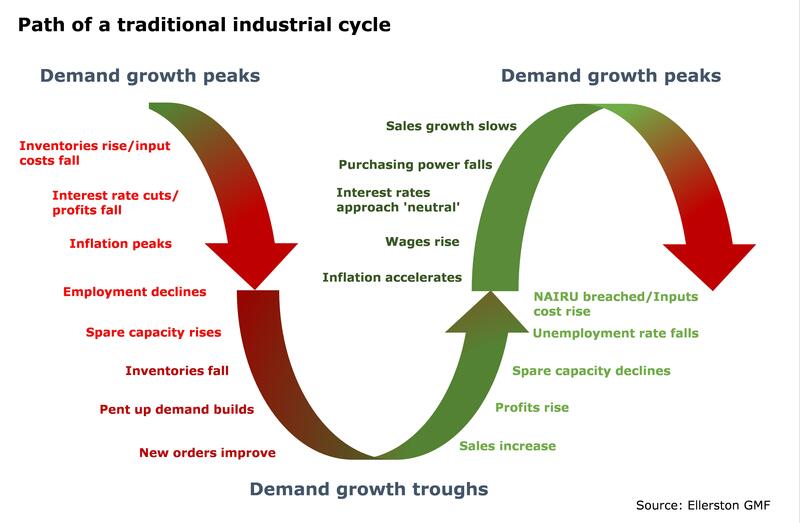 Market participants who only months earlier had been convinced of secular stagnation then leapt to the conclusion if we are no longer in stagnation we must be late in an industrial economic cycle. The argument ran that the US economy was in the 8th innings of a 9 innings stretch and it is better to hold onto your bond proxies because the next downturn must be close. This quantum leap in logic defied everything we know about the sequencing of events that occurs, with relatively predictable rhythm, through an industrial cycle. Exhibit 3 provides a schematic of the various steps of a traditional industrial cycle. 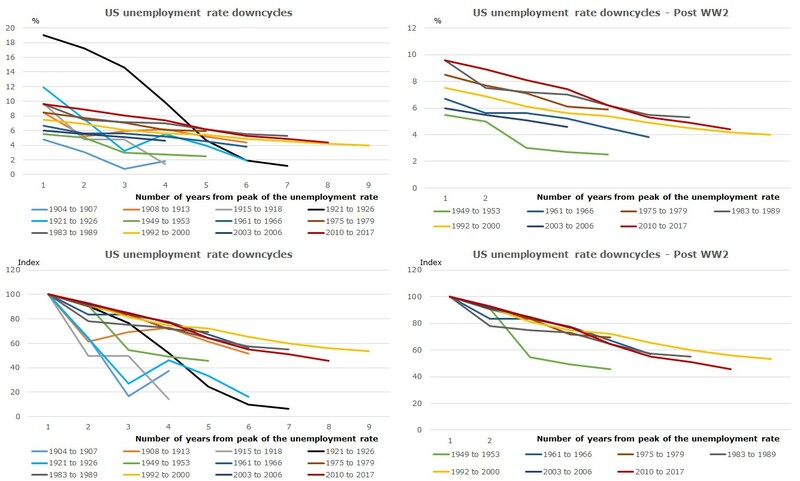 Perhaps after an eight year debt deflation cycle investors may have forgotten how an industrial cycle works, nevertheless, by mid-2016 any reasonable assessment would have placed the US economy in the phase of the cycle that depicted diminishing spare capacity and falling unemployment. 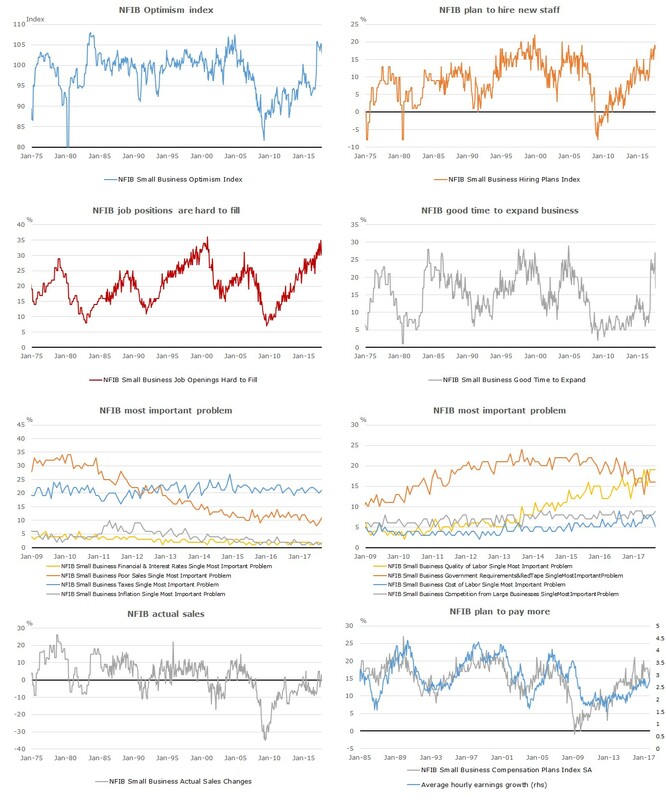 Currently, the Fed is still debating whether they have breached NAIRU, although most of the FOMC believe they currently have an unemployment rate that is now below the level consistent with stable inflation. We made the case in last month’s note that the 6-month pace of US inflation is set to accelerate sharply over the coming 6 months. That is, in terms of Exhibit 3 the US is still presenting as only slightly over half way through a traditional industrial cycle. The reason why wages have been subdued is that up until this point it has simply been too early to expect a material acceleration in wages in the US economy. When Ford declared; “It is not the employer who pays the wages. Employers only handle the money. It is the customer who pays the wages” he was implicitly referencing the dynamic in Exhibit 3. Until sales growth had risen sufficiently for firms to capture the operational leverage against its fixed cost base, and until existing spare labour resources were fully utilised, there is no requirement to increase wages for existing workers. It is only once ongoing sales growth encourages firms to expand output to meet future demand that the competition for labour intensifies and if the economy is close to full employment then wage growth breaks out. It is rational for aggregate wages to continue to rise until the marginal revenue product of labour (i.e. ΔRevenue/ΔLabour) less the marginal cost of labour results in profit being maximised near the top of the economic cycle. By definition, when wages are modest and sales cyclically improve it is the firm who captures the economic gains first. However, beyond full employment the balance of power shifts. The profit share and wage share begin to converge which tends to usher in a different environment for equity markets.We made the case in last month’s note that the 6-month pace of US inflation is set to accelerate sharply over the coming 6 months. That is, in terms of Exhibit 3 the US is still presenting as only slightly over half way through a traditional industrial cycle. The reason why wages have been subdued is that up until this point it has simply been too early to expect a material acceleration in wages in the US economy. The trouble with average wages, Boomers and Millennials. The second reason why average wage growth has risen modestly this cycle is the combination of demographics and the life cycle of wages. At the risk of overcomplicating an intuitive point, the more people that are at the peak of their earning capacity the higher will be the average wage, but when an unusual bulge in the proportion of the labour force is skewed to the younger and older age brackets of the work force – which tend to receive slower wage growth relative to those in mid-career – then the average wage must be lower. Exhibit 4 shows a stylised example of this simple mathematical point, yet it is an observation that seems to have eluded policy makers and analysts for the past decade. In the interests of simplicity, in this example we assume there are only three jobs in the economy; a staff role, a middle manager and a senior manager and as the individual ages they move through all three jobs through their career. The pay rate for each of the three types of jobs is held constant through time. That is, we are assuming that at the age 5-19 you are in education, 20-34 you are in the 1st trimester of your career in a staff role, 35-49 you are in a management role and 50-64 you are in the final trimester of your career in a senior management role before moving into retirement at 65. The life cycle of wages in Western societies tends to show a large jump in wage income in the 2nd trimester of a career before a smaller wage gain in the final trimester (see https://www.princeton.edu/~moll/LCWG.pdf for an excellent recent paper on the shapes of the wage cycle by country). If the proportion of the population was spread evenly across the five age brackets and wage rate for a staff role, management and senior management role the average wage obviously remains unchanged through time. However, once we allow for the population bulges of the Baby Boomers and Millennials there is a marked impact upon average wages as they age. 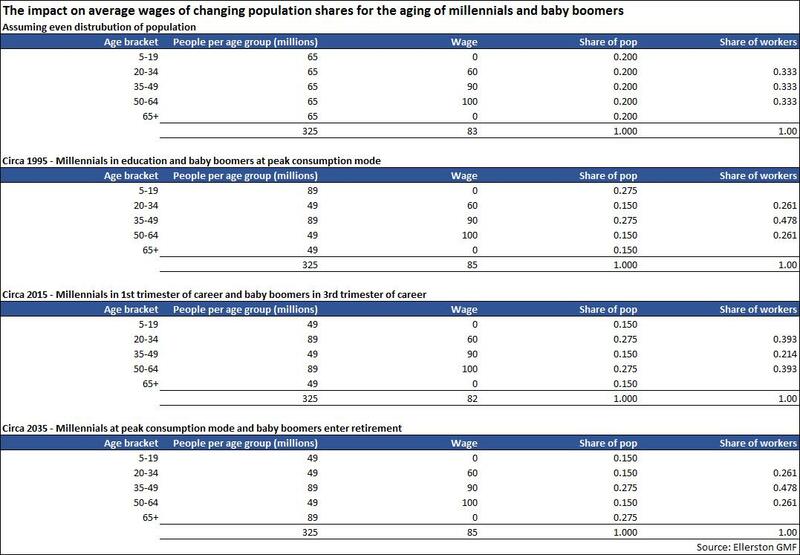 Exhibit 4 shows that the combination of having both the Baby Boomer and Millennials population bulges in the workforce at the same time lowers the average wage for workers, even though the wage rate received by everyone in the economy for the role they play at that phase of their life remains unchanged. Regardless of the economic cycle, the interaction between a non-linear life cycle of wages for the individual employee and demographic bulges in the distribution of population results in lower average wages when the Millennials are in the first trimester of their career and Baby Boomers are in the final trimester of their careers. The Millennials are currently between the ages of 17 and 35 years of age. Baby Boomers are currently between the ages of 53 and 71. In Western economies over the past 10 years we believe measures of average wages have been suppressed by between 0.25% to 0.50%pa by this effect. However, over the next 10 years average wages will drift higher as this compositional shift continues. Indeed, given the Baby Boomers are already six years into retirement it is feasible while the Millennials are just entering a higher income phase of their careers the process is likely to commence relatively soon. That is, the headwind for average wages from these important demographic shifts that were strongest over the prior decade have now eased and by 2020-21 the demographic shifts start to become a tailwind for wages growth. Exhibit 5: The headwind for average wage growth from the inclusion of Millennial and Boomers in the workforce has finally eased. Marginal workers get marginal pay. The third reason is actually a hybrid of the first two reasons, yet it deserves separate identification. At times of economic downturn it is typically those that work in non-core roles or lower skilled roles that find their jobs at risk. The flip-side is that new entrants to full-time work, whether they are entering for the first time, re-entering from periods of unemployment, or moving from part-time to full-time work, are more likely to make below-average wages. This is exactly what we have been seeing in recent years in virtually all developed nations. As the labour market has continued to strengthen, many workers have moved from outside the labour force or part-time roles into full-time employment. The majority of these new workers earn less than the typical full-time employee, so once they are employed it brings down the average wage. Somewhat counter to intuition, this means that strong job growth can pull average wages in the economy down and slow the pace of wage growth. The San Francisco Fed recently produced research that supported this hypothesis (see “The Good News on Wages Growth”. San Francisco Federal Reserve 14 August 2017). When Ford stated that “A business that makes nothing but money is a poor business” he may well have been recognising that a sustainable business responds and rewards the shifting demands on capital and labour through an economic cycle. The swings in the economic cycle and acute shifts in the demand and composition of available labour during the Ford Motor Company’s first 30 years were more extreme than anything we have witnessed in the post-war period, yet the same basic principles still apply. If Ford was running his business today, was looking to expand his operation, was aware the labour market was more than fully employed and noticed that more highly skilled older workers were leaving the available pool of labour, it is likely he would reach the same conclusion as he reached in 1914 and 1926 and lift the rewards to labour. The motivating force would be the same; it would be in his self-interest to maximise profits and ensure the business remained sustainable through the economic cycle. Highways and Super Highways: Why Millennials will defeat the robots. “If you need a machine and don’t buy it, then you will ultimately find that you have paid for it and don’t have it”. Henry Ford. What can really be learned by reaching back so far into economic history? Hasn’t the internet changed everything? There are some valid parallels between the growth and importance of the internet superhighway and the companies that have come to dominate its traffic and physical road networks and the companies instrumental in their creation over a century earlier. However, for modern writers it seems no analogy can be too far-fetched and no superlative too great to describe the pervasive impact Facebook, Amazon, Netflix and Google are having on our lives. Google may have infiltrated most people’s lives, however, the additional utility gained by using Google’s search engines seem somewhat marginal to the functionality that Netscape or eXcite provided at the height of the last DotCom bubble and, so far at least, it would seem that if Facebook, Amazon and Netflix suffered the same fate as the old internet browsers and went out of business it would not dramatically alter the economic landscape. The main innovation is that these types of companies have largely been able to act as a conduit for price discovery, assisting in delivering lower prices and releasing more income to be spent across a range of other industries. The jury is still out on just how transformative for the broader economy these dominant e-commerce business models have been, yet they have almost certainly been a feature in containing inflation. In contrast, the economic freedom provided by a modern, reliable and above all affordable means of transportation re-energised and transformed the US economy and today motor vehicle production remains the anchor of much of the world’s manufacturing industry. The surge in demand for motor vehicles through the 1920s sparked dramatic second round impacts. Sprawling new road networks spurred; new shopping centres, car dealerships, new housing estates, insurance products and a host of ancillary industries. Most importantly the benefits of mass production via production line assembly were soon recognised and replicated throughout the manufacturing sector, creating a sense of innovation and optimism. In the five years prior to the first Model-T rolling off the manufacturing line in 1908 US GDP growth averaged 2%pa. Over the next five years and prior to the start of WW1 in 1914 the US economy averaged growth of 6%pa growth. Interestingly, US consumer inflation barely changed over that period. US inflation averaged 2.4% in the five years prior to 1908 and 2.6% in the five years post 1908. Over the same period the price of the Model-T fell from an initial category killing price of $825 in 1908 to $440 by 1914 – a 47% decline. No one was more disrupted by new technology than the horse and carriage industry. The crossover point between the number of motor vehicles versus horse and buggies was around 1912 in the US. Yet employment in the US manufacturing and transport industries surged between 1910 and 1920. The arrival of the motor vehicle was met with an immediate and large lift in three things; economic activity, productivity, and labour income. A recent paper by MIT professor David Autor “Does Productivity Growth Threaten Employment?” June 2017 was viewed as so influential by policy makers it was presented in June at the ECB’s Sintra Conference – the equivalent of the Fed’s Jackson Hole conference. Indeed, it was presented immediately post Draghi’s introductory speech so as to gain maximum impact. Why was the focus applied to this particular study? Because it addressed one of the most pressing issues spilling through central banking circles – the threat to employment and inflation from the adoption of new technology. The study concluded that employment tends to shrink in the sector that suffers the technological disruption, but there are important spillover offsets to other sectors which result in a net impact that raises the employment-to-population ratio as well as improving consumption growth. The paper notes some caveats. There is tentative evidence that this virtuous relationship may have weakened in the 2000s and although the number of total new jobs increases with the technology shock there may be a challenge in maintaining the quantity of jobs available to low and medium-skill workers. Nevertheless, the conclusion of the paper is not dissimilar to the economic impact upon the arrival of the motor car. The technological innovation provided a boost to the economic cycle, not a drag. For all the news articles on the pernicious impacts of technological disruption, the reality is the global economy is in the best growth phase since prior to the financial crisis and it is the ‘old-technology’ developed nations that are growing the fastest relative to their potential. It seems it is easier for commentators to see the disruption to individual business and extrapolate the negative impact across the entire economy rather than acknowledge that the spillover impacts of the disruption are helping to deliver a stronger and more inclusive version of economic growth. Is there something ‘broken’ in our understanding of what drives wages growth? The above discussion suggests there is nothing broken when it comes to wage dynamics. Instead, we have argued that the preconditions that typically drive wage growth have only just become established in the US let alone for the rest of the developed world. If there was something ‘new’ that suggests wages will be structurally lower for an extended period then the logical thing to do would be to test whether the explanatory power of traditional drivers of wages still hold or whether there is indeed evidence of structural break. In the US we model average hourly earnings as a function of the gap between the unemployment rate and the NAIRU, inflation expectations, the small business survey of job positions being hard to fill, the employment sub index of the services sector ISM, profit margins and a demographic change variable (as shown in Exhibit 5). 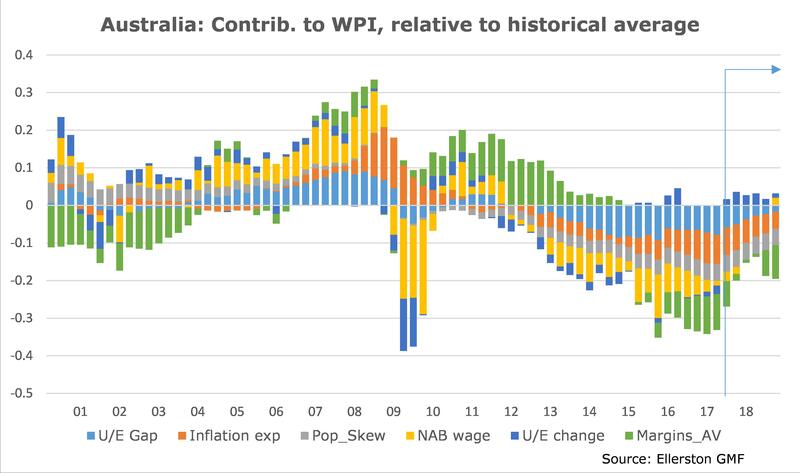 In Australia we model the private sector wage price index as a function of the gap between the unemployment rate and the NAIRU, inflation expectations, the annual change in the unemployment rate, the employment sub index of the NAB survey, profit margins, and a demographic change variable. In both models the variables are statistically significant, stable and correctly signed. We can find no evidence of a structural break in either of the models. In the case of Australia the model explains 78% of the quarterly variation in wages. In the case of the US the model explains 77% of the variation in annual growth in average hourly earnings. As Exhibits 5 and 6 show a dominant driving force of wages in the USA and Australia remains the gap between the unemployment rate and the NAIRU. As mentioned above, the FOMC believe the US unemployment rate is currently below their 4.75% NAIRU estimate. In Australia the RBA recently updated its estimate of the NAIRU to be 5.0%, only to find that the unemployment rate has declined by 40ppts to 5.5% since March 2017. Should the unemployment rate decline at the same rate over the next six months Australia’s unemployment rate gap will also be closed. Note, it is both the pace the unemployment rate approaches NAIRU as well as whether it has moved below NAIRU that matters for wage growth. There is no evidence of a break down in the forces governing wages growth. Theories that wages growth has been permanently altered by the shock of the financial crisis, increased globalisation or the ‘rise of robots’ remain theories that are not yet supported by the evidence. While policies makers should always be alert to new risks, it would be a mistake to adjust the policy reaction function to accommodate these new theories. Researchers and policy makers in recent years acknowledge that there appears to be a ‘common global factor’ that has been influencing wage growth that has been difficult to isolate. It is possible that the rise of China, increased globalisation and new online business models may be part of the answer. However, most of these effects should be picked up by the factors used in conventional wage models. Our analysis reveals that the missing common factor is most likely the demographic skew on wages via accommodating the Millennials and Boomers in the labour force simultaneously. The models provide an excellent insight into the importance of diverging trends in the profit cycle between the 2 countries in explaining the relative wage dynamics. Specifically, the rebound in commodity prices post the financial crisis helped delay a wage adjustment in Australia that would otherwise occurred in 2012-2014 into the 2016-17 period. Sharply falling inflation expectations and a still wide unemployment gap had compounded the wage weakness in Australia over the past two years. Recently, however, Australia has started to witness a turning point on all of these drive variables; profit margins have risen, inflation expectations have moved higher, survey measures of labour demand have tightened and solid progress is now being made in narrowing the unemployment gap. In short, once a realistic assessment of the drivers of wages growth and the important influence of demographics is included in the framework there is no glaring fault in our understanding of wage dynamics. Given most of the preconditions for an acceleration in wages growth in the developed world have largely now been met, the remedy to slow wages is largely merely a matter of time. 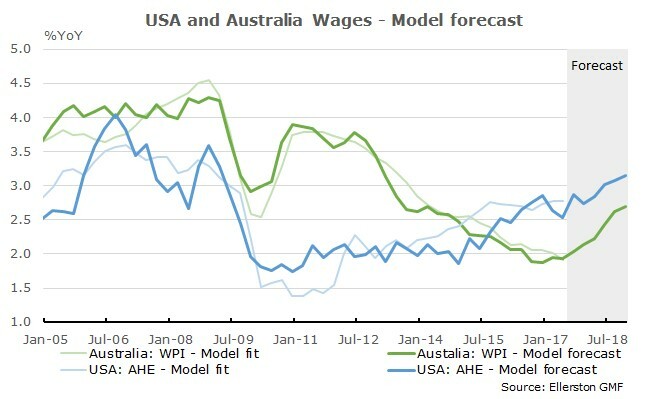 Exhibit 8 shows the forecasts for wages in the US and Australia generated by the models (note that our assumptions in the forecast period for the model’s inputs are relatively conservative). 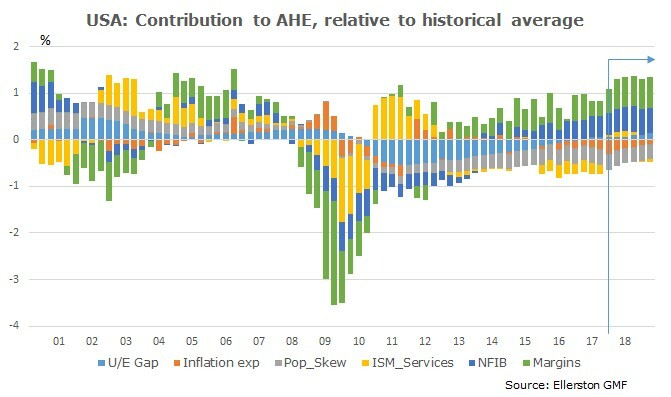 With the US leading the developed world in a cyclical sense it is not surprising that the US AHE growth is accelerating ahead of Australia’s. Indeed, by the end of 2018 the US is projected to generate AHE growth of 3.25%yoy. In Australia, the recovery towards mid-cycle rates of wage growth will take somewhat longer. Indeed, that hurdle is unlikely to be cleared until 2019. Nevertheless, incremental evidence of a recovery in the pace of wage growth should be evident by late 2017 and by late-2018 we expect wages growth to accelerate to 2.75%yoy. Should profit margins continue to expand (we explicitly assume they fall) and inflation expectations continue to rise at a more rapid rate then wage growth in Australia and the US could both have a 3-handle. Exhibit 8: Model based wage projections: USA leads the way to ‘normal’. This newsletter has been prepared by Ellerston Capital Limited ABN 34 110 397 674 AFSL 283 000, responsible entity of the Ellerston Global Macro Fund without taking account the objectives, financial situation or needs of individuals. For further information, contact info@ellerstoncapital.com. 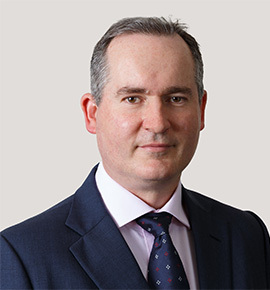 Units in the Fund are issued by Ellerston Capital Limited to ‘wholesale’ investors as defined in the Corporations Act 2001. This information is current as at the date on the first page. This material has been prepared based on information believed to be accurate at the time of publication. Assumptions and estimates may have been made which may prove not to be accurate. Ellerston Capital undertakes no responsibility to correct any such inaccuracy. Subsequent changes in circumstances may occur at any time and may impact the accuracy of the information. To the full extent permitted by law, none of Ellerston Capital Limited, or any member of the Ellerston Capital Limited Group of companies makes any warranty as to the accuracy or completeness of the information in this newsletter and disclaims all liability that may arise due to any information contained in this newsletter being inaccurate, unreliable or incomplete.